This page lists Twitter hashtags that are commonly used by UK maths teachers. #mathschat - used for tagging tweets that relate to UK maths education. Also used for a weekly chat on Wednesdays at 8pm - follow the host @BetterMaths for details. #mathscpdchat - primarily used for a weekly chat on Tuesdays at 7pm. The chat is organised by the NCETM - follow @mathscpdchat for details. #TeamMaths - used for regular tweets by @Team_Maths1, including jokes, resources and articles. #DonADay - sharing at least one Don Steward task a day! Shared by @mathsjem via @Team_Maths1. #ScotMTBos - Scotland's MathsTwitterBlogosphere, for tweets relating to maths education in Scotland. #maths - used for tagging any tweets that relate to maths in general. Not just used by teachers, though does include some maths education tweets. 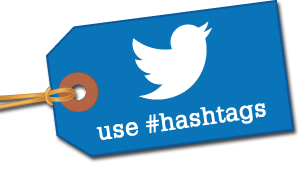 #ukedchat - a popular hashtag used for tweets that relate to UK education in general. Also used for a weekly chat on Thursdays at 8pm - follow @ukedchat for details. #SLTchat - a popular hashtag used for tweets that relate to school leadership. Also used for a weekly chat on Sundays at 8pm - follow @SLTchat for details. #PedagooFriday - a hashtag used on Fridays by teachers from all subjects for sharing inspirational teaching ideas and classroom practice. Follow @pedagoo. #PREThomework - used for tagging all Maths Pret Homeworks. #mathsgems - maths teaching inspiration from my gems posts. #mathsbookclub - bi-monthly chat organised by @MathsBookClub. #mathsjournalclub - bi-monthly chat organised by @mathjournalclub. And from our American friends we also have #MTBoS (MathTwitterBlogosphere), #mathchat, #math and #slowmathchat. That's a lot of hashtags! Please let me know if I've missed anything. For a more general list of UK education hashtags, try this article from Creative Education.